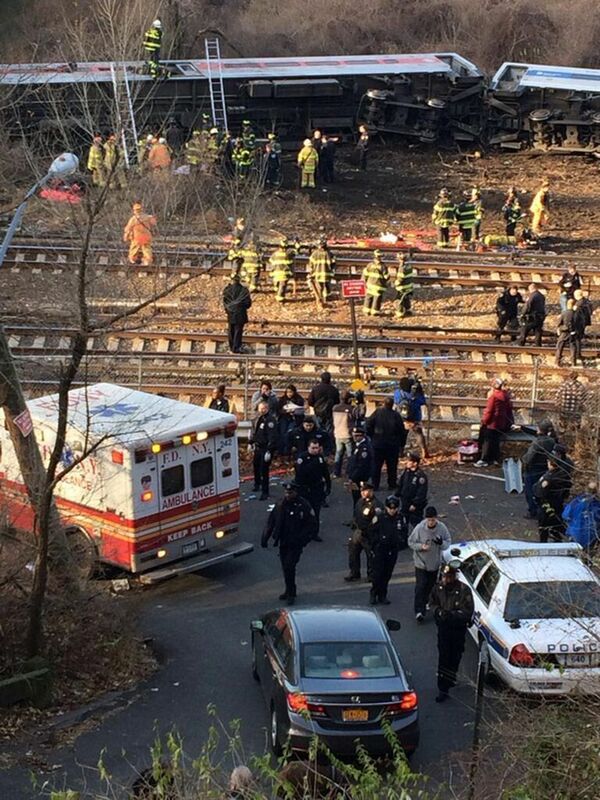 Four people have been killed and 63 injured in a passenger train crash in the Bronx area of New York City. 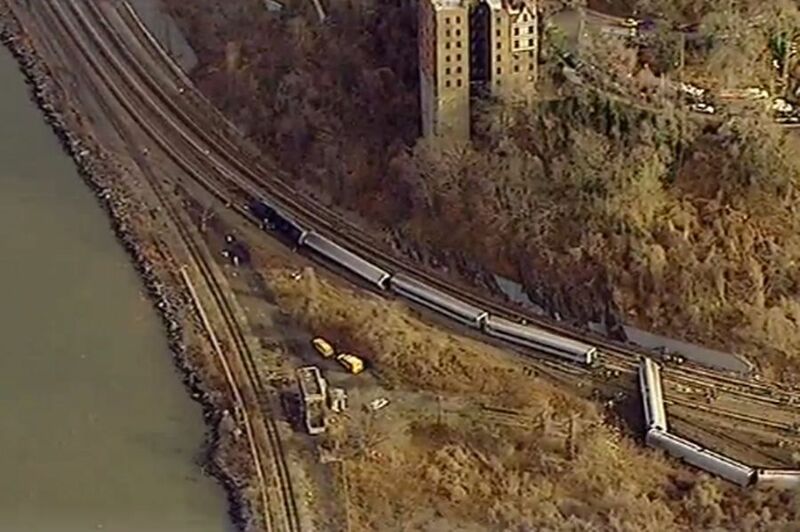 The Metro-North train's locomotive and carriages derailed as the train went into a bend in the railway line near Spuyten Duyvil station. At least one eyewitness said the train - the 05:54 from Poughkeepsie to Grand Central Station - was travelling much faster than normal at the time. None of the carriages went into the adjacent Hudson or Harlem rivers - although pictures from the scene suggest this nearly happened. 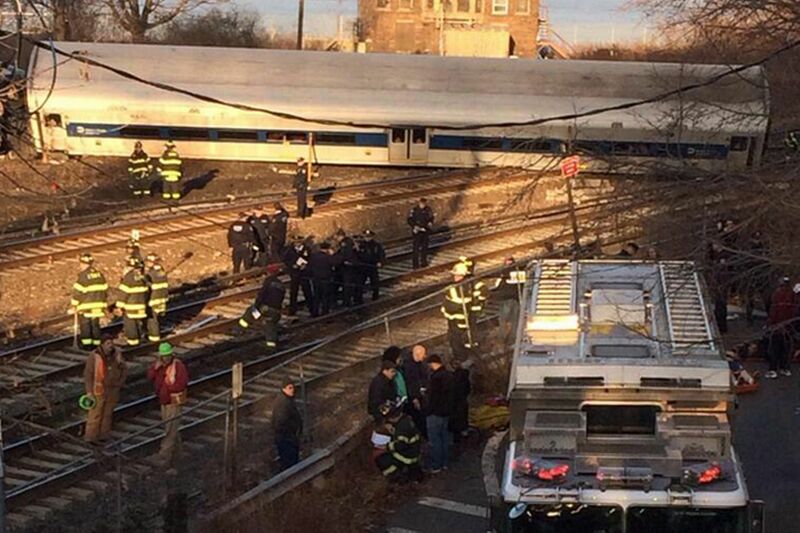 The train appeared to be going "a lot faster'' than normal as it approached the curve coming into the station, passenger Frank Tatulli told WABC-TV. 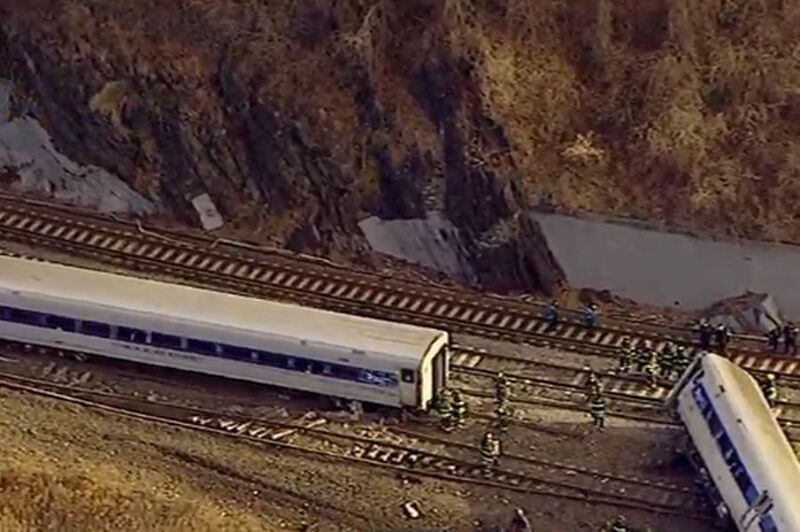 Metropolitan Transportation Authority spokeswoman Marjorie Anders said the curve where the derailment occurred was in a slow speed area, and that the train's black box recorder should be able to tell how fast the train was travelling. 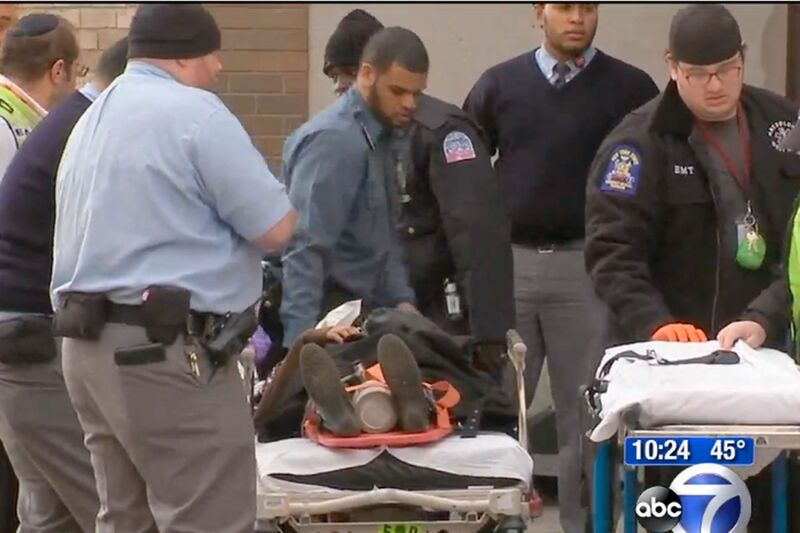 "I was asleep and I woke up when the car started rolling several times," he told the Associated Press news agency. "It's obviously a very tragic situation," he said. 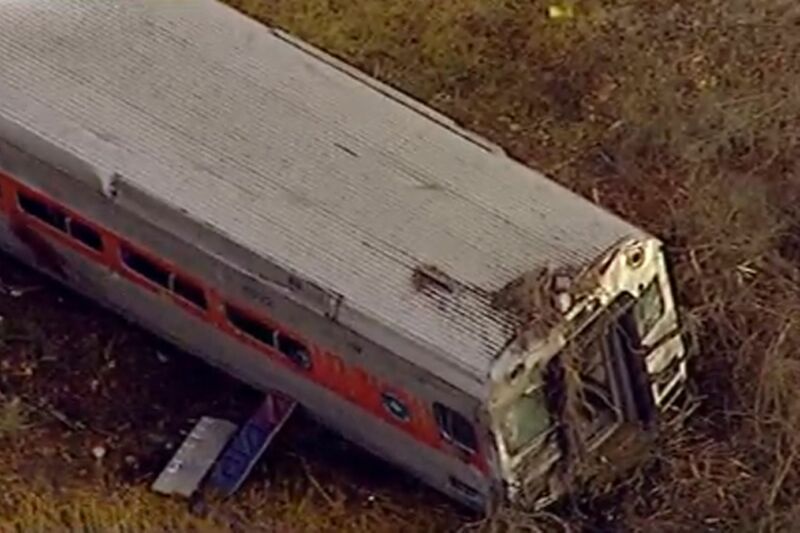 "The first order of business is to care for the people who were on the train... we'll wait to see what the NTSB says before speculating as to any causes." Metro-North is a rail service that serves commuters from New York City's northern suburbs. It is not part of the New York City subway system. 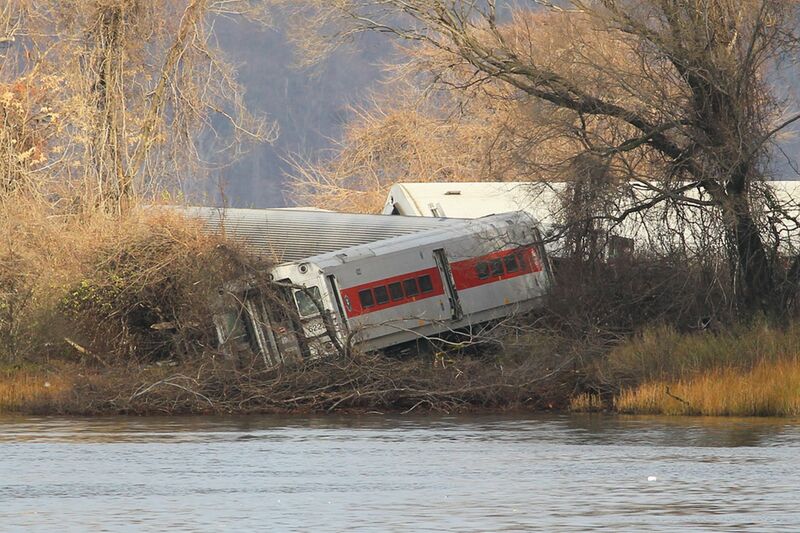 Sunday's accident is the second passenger train derailment this year for the rail service. Beautiful pictures of a clear dawn morning -- a hillside with the shadow of a nearby bridge cast across it. A union official has spoken out -- and out of turn -- saying reassuring things about the engineer who seems to have nodded off, which caused the crash. The engineer seems to have admitted exactly that -- he was in a daze just before the crash. No drugs, no alcohol, no cell phone. The NTSB didn't like the union piping up when the investigation is still underway. However, the union guy was probably just trying to spare the engineer from getting crucified in the press -- which could easily have happened. The union, which provided a lawyer to Rockefeller, has since been excluded from the ongoing investigation. The engineer is well spoken of by his friends and neighbors locally. Said to love his job and to be a very careful operator. He is reported to be "totally traumatized" by the events. See Lo-Hud reports that follow. 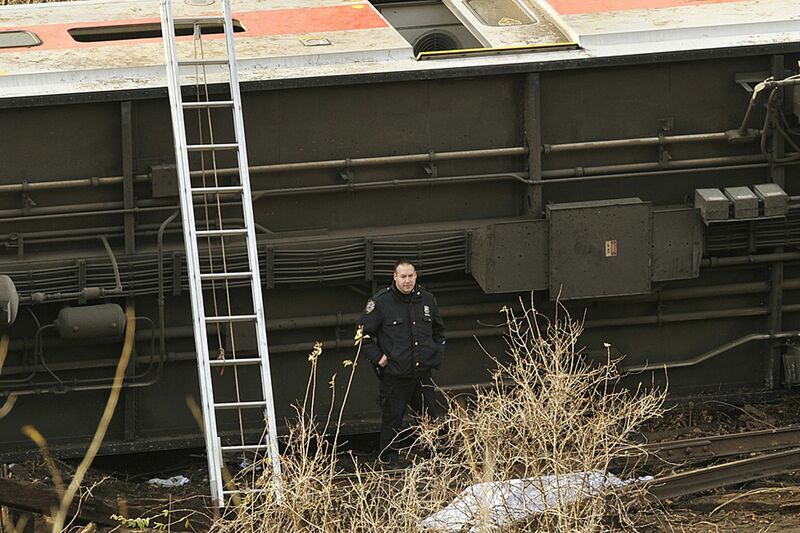 Train engineer William Rockefeller is removed from the accident scene after the deadly train derailment Sunday. He's overweight and probably stops breathing during his sleep -- that would cause him to be sleep deprived and contribute to daytime sleepiness. I just want to know that he and his doctors were on top of all his health issues. I want to know that if a health issue did contribute, that it was a chance thing, and not something that could have been treated or found out earlier or should have been. I think the union has a role in making sure that workers are fit to do their job, no? The other contributor was that his shift had changed from night to day two weeks prior, but that was not supposed to have any ill effect on his ability to perform his job safely. They're checking his meds to see if he was taking anything to help him negotiate that shift change. 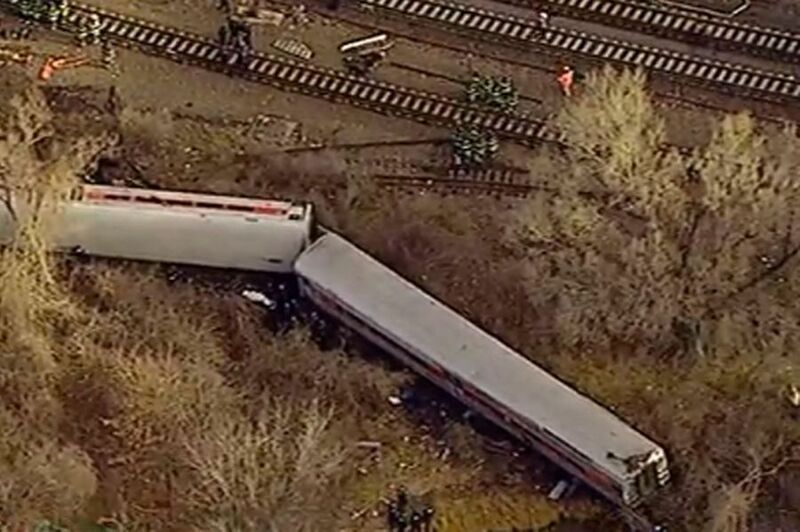 The National Transportation Safety Board says brake failure and alcohol were not factors in the commuter train derailment that killed four people Sunday. Meanwhile a friend of the engineer is defending the driver of that train. 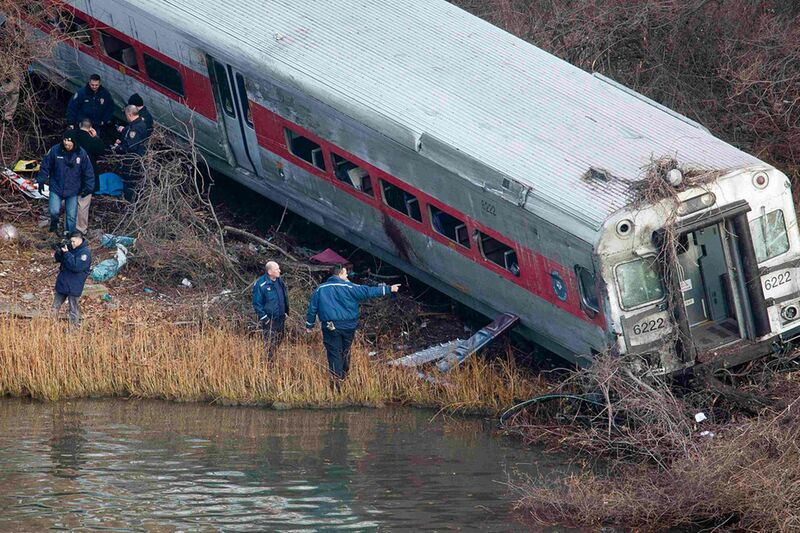 The engineer of the derailed Metro-North train "nodded" off just before the high-speed crash along a sharp curve in the Bronx that killed four people, a union representative said Tuesday. 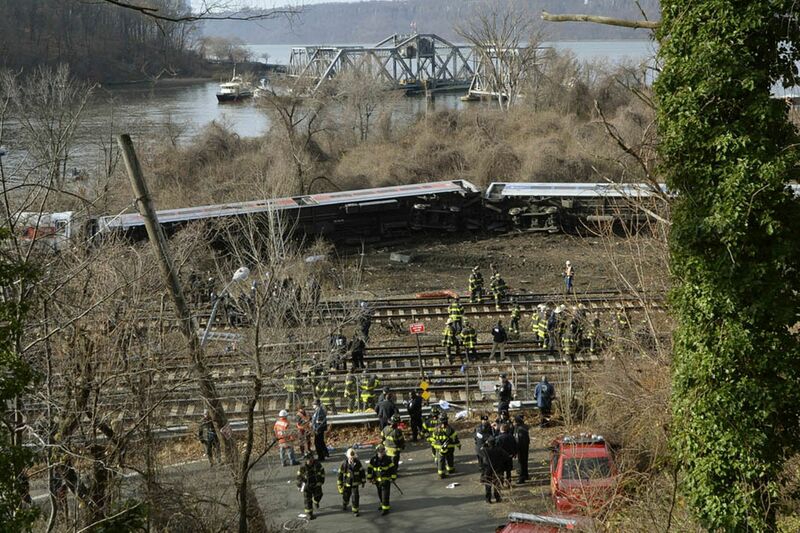 The engineer, William Rockefeller, 46, "caught himself, but he caught himself too late," said Anthony Bottalico, head of the union representing the Metro-North crew. He said Rockefeller told him he "basically nodded" -- akin to a momentary lapse while driving a car. At the same time, investigators said they have so far found no issues with the signal system or brakes on the train, which was traveling 82 mph before it careened off the tracks in a 30-mph zone, said Earl Weener, a member of the National Transportation Safety Board. "Simply put, based on these data, there is no indication that the brake systems were not functioning properly," said Weener, who is heading the investigation. Weener said the crew, including the engineer, have passed alcohol tests and officials are still awaiting the results of drug testing. Bottalico said he's "confident" that the engineer did not use his cellphone before the crash, or use drugs or alcohol. 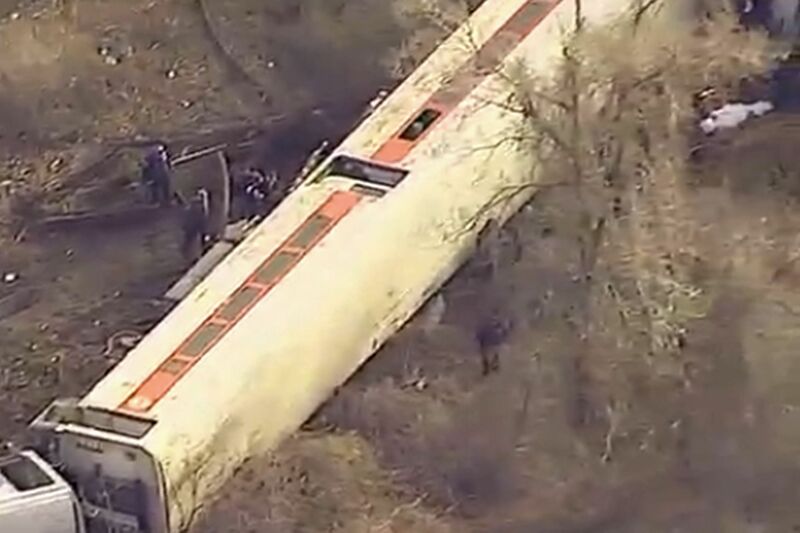 Later Tuesday night, the NTSB put out a statement saying the union had been removed from the derailment investigation because it had violated a confidentiality agreement by making public statements. "It is counterproductive when an organization breaches the party agreement and publicly interprets or comments on investigation information," said NTSB chairman Deborah A.P. Hersman. 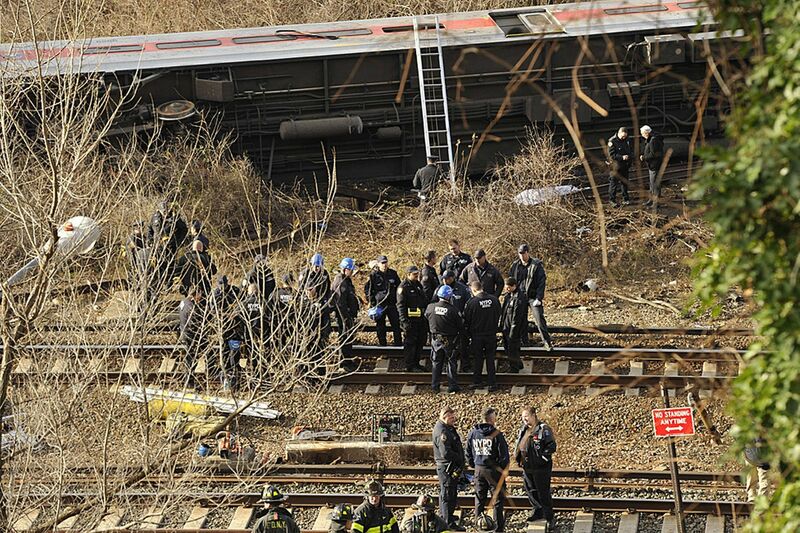 The union could not be reached for comment on the NTSB's action Tuesday night. Rockefeller, a 15-year veteran of the MTA who has been an engineer for 10 years, was scheduled to work a typical nine-hour shift Sunday, the day of the crash, Weener said. It was Rockefeller's second day of a five-day workweek. He reported to work at 5:04 a.m., Weener said. "There was every indication he would have had time to get a full, restorative sleep," he said. 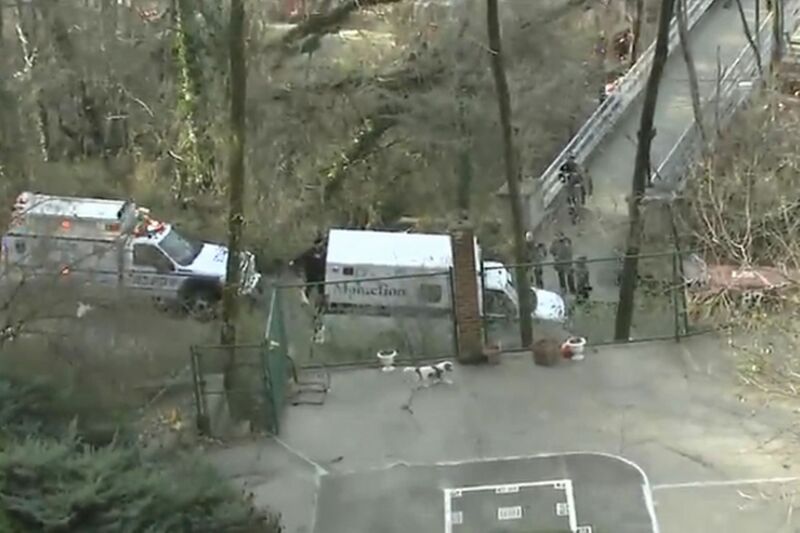 Four were killed and 63 injured when the 5:54 a.m. Poughkeepsie train to Grand Central Terminal in Manhattan shot off the tracks right before the Spuyten Duyvil station and skidded to the edge of the Harlem River about 7:20 a.m. Sunday. Gov. Andrew M. Cuomo Tuesday called the engineer's reported inattention at the helm of a train a "gross deviation" from the norm and hinted that action may be taken against him. "Certainly, we want to make sure that that operator is disciplined in an appropriate way," Cuomo said. "There may be other agencies that also want to take a look at his behavior in operating the train. Obviously, he has his own legal rights. I understand he has a legal counsel. . . . But that amount of speed is certainly unjustifiable." Bottalico said the union provided Rockefeller with an attorney during the interview, as well as a union official. "I believe that after this interview is done and we hear the whole story from Billy (Rockefeller) that it will be -- I think it will be readily apparent that there was nothing criminal here," Bottalico said. "This is just a tragedy." "It's crushed him. Billy is very agitated by this to the point where he really couldn't go forward on Monday" with the NTSB interview, Bottalico said. A law enforcement source said that, at this point, investigators do not believe the engineer was using his cellphone, but they are checking records to confirm that. NTSB investigators expect to finish interviewing the engineer Wednesday. They are also speaking to other crew members. 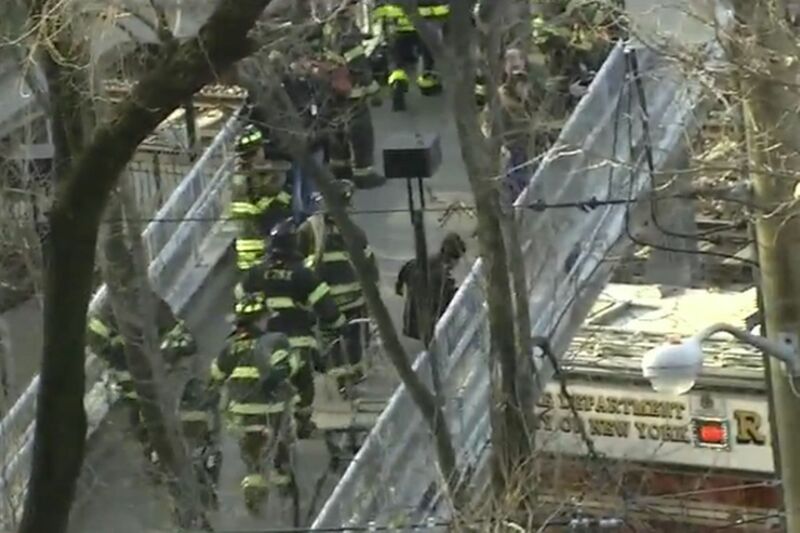 Bronx prosecutors, along with the NYPD and MTA police, are also conducting a separate probe into the crash and will have to determine whether the engineer's conduct amounts to criminal negligence, the source said. 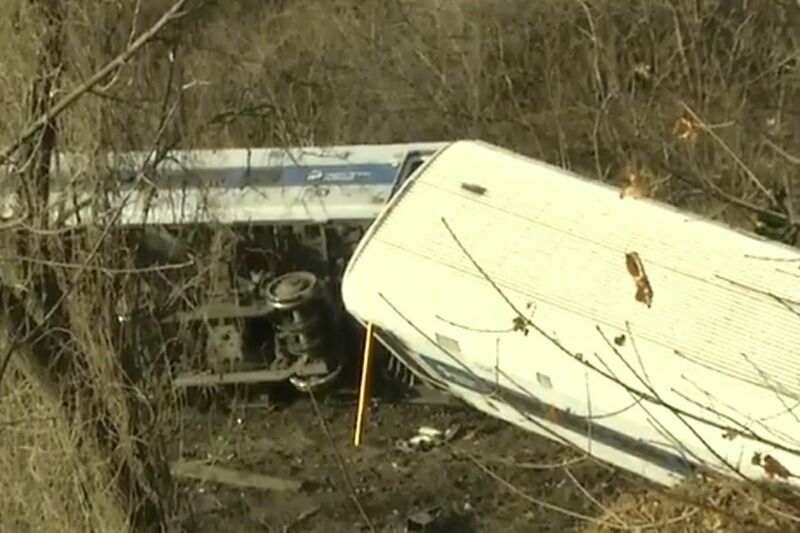 The Bronx district attorney spokesman Steve Reed would not confirm a criminal probe, saying, "We're monitoring the investigation by the NTSB, and we are part of several agencies involved." Meanwhile, the governor's office announced Tuesday that service on the Hudson Line would be restored to 98 percent of its normal capacity for Wednesday's morning commute. Commuters should expect delays of about 15 minutes as trains run on a single track in a 1-mile vicinity near the crash site as crews work to restore 800 feet of two of the three tracks. 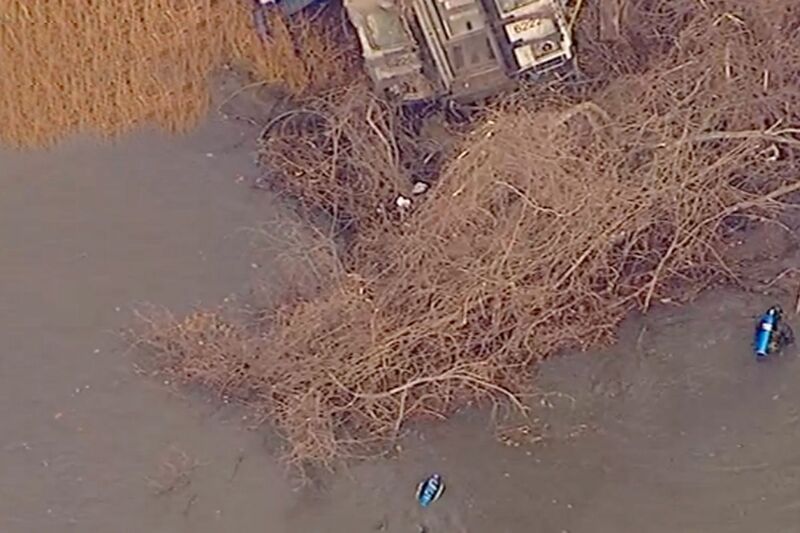 The middle track was badly damaged and the outer track closest to the river was destroyed, officials said. Cuomo called the work completed by crews, who cleared rail cars from the tracks by Monday night and moved them to the Highbridge Yard in the Bronx and Croton-Harmon Yard in Westchester, an "extraordinary effort." As investigators zero in on Rockefeller's actions, they're looking closely at several angles, the law enforcement source said. They include the engineer's work logs and schedule to determine if he was getting the proper amount of time off between runs; when he last slept; medications he may be taking; and his health. 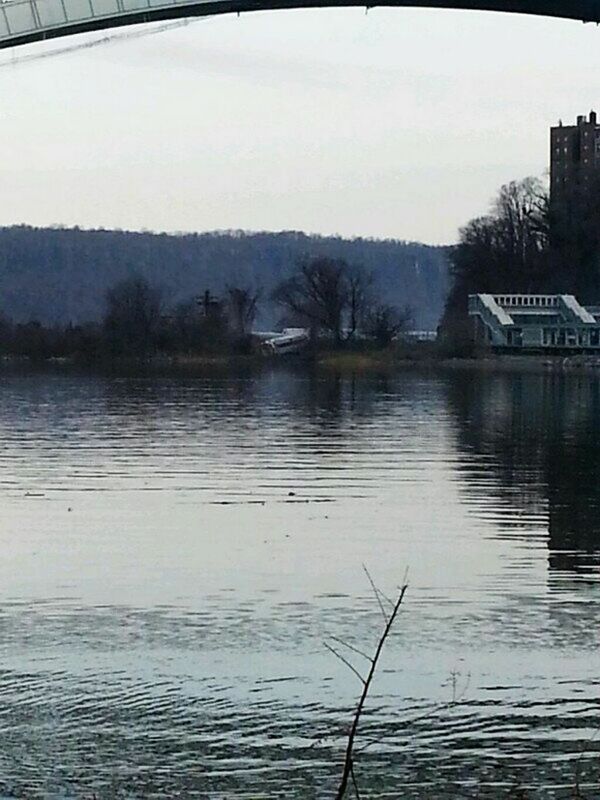 Rockefeller told first responders he had applied the brakes, but they did not work, the source said. He then tried to "dump" them in an emergency braking attempt, the source said. The law enforcement source said Rockefeller's statements would be compared with information from the train's data recorders. "The data tells the story of how this happened," the source said. "It corroborates or debunks." 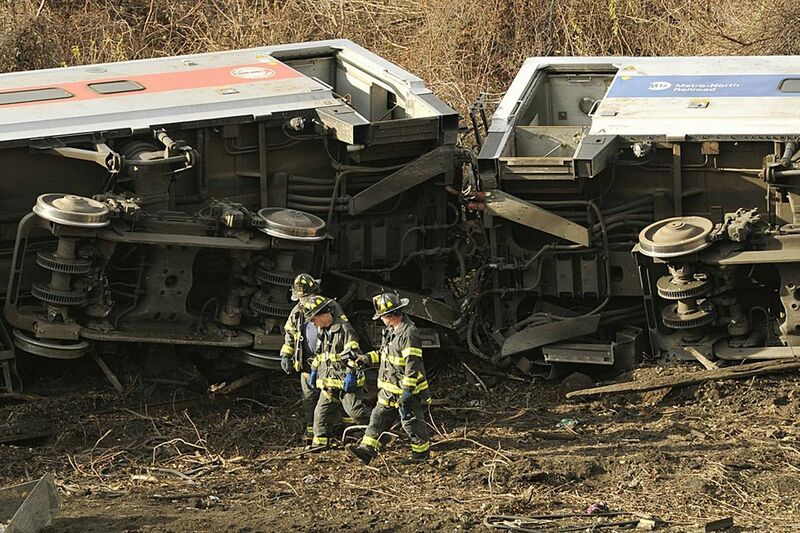 Officials have said the train's brakes were applied about 5 seconds before the train stopped moving at 7:20 a.m. 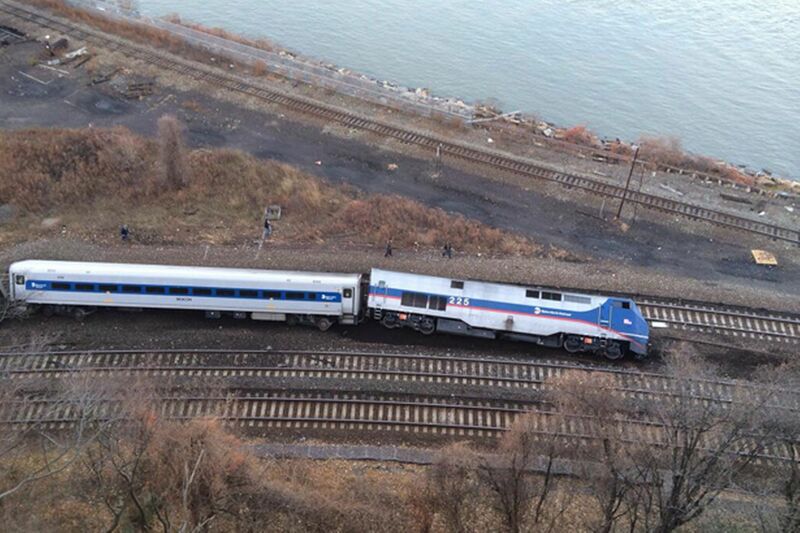 The derailment ejected some passengers and nearly sent cars into the Harlem River. Using the brakes at that time was "very late in the game" to try to slow down for the curve, Weener has said. The governor said he also spoke to the head of MTA Tuesday and directed the agency to implement a "safety stand-down" in which all employees must attend safety briefings. Without hurting service, workers will try to take a fresh look at improving safety, an MTA source said. It's a way to reinforce the culture at work, not just the rule book, the source said. Investigators are still gathering and assessing data, including footage from a surveillance camera that has been sent to a lab in Washington, D.C., to be enhanced. 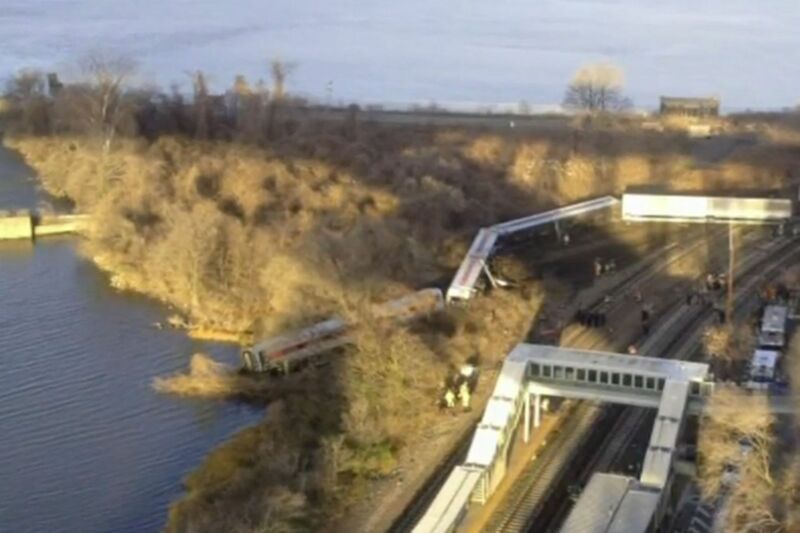 The video, provided by the MTA, was taken from a nearby bridge. 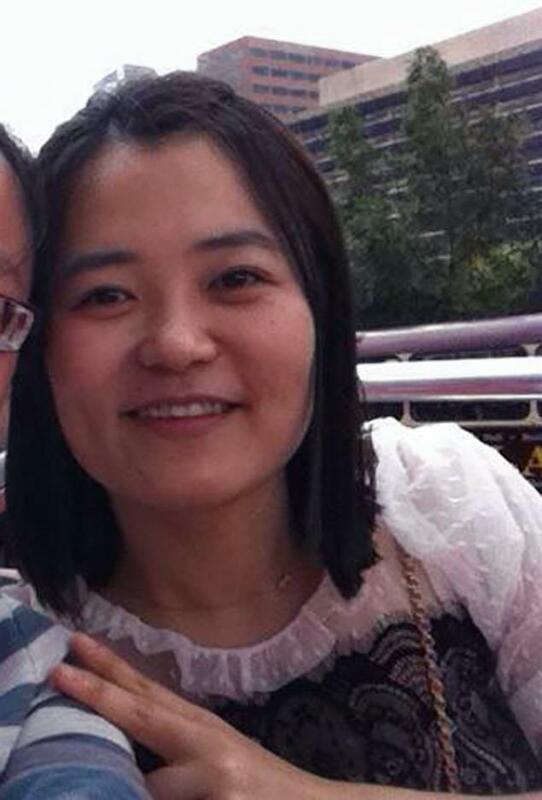 The 35-year-old victim of the crash moved to the U.S. to study nursing and learn how best to care for her autistic nephew, her brother said.